Personal CRM Software - No Coding Knowledge Required! CompanyHub’s CRM solution pulls in customer information securely and privately, from all their accounts. The software acts as and when needed. 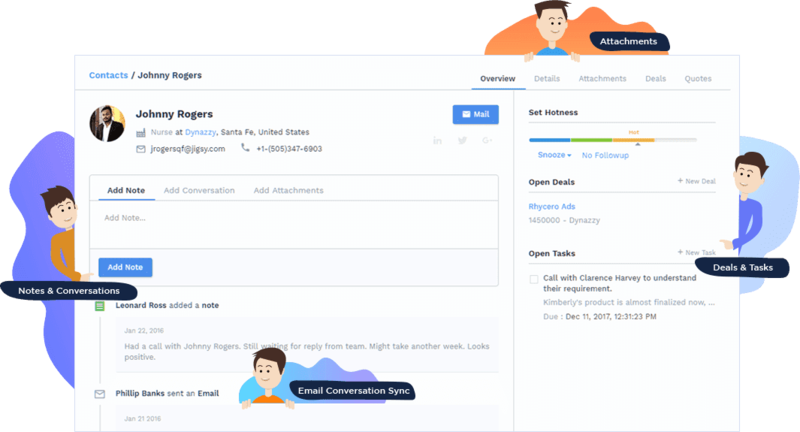 Personal CRM created by CompanyHub automatically ignores irrelevant information including spammer contacts and keeps the stuff needed by the user. We give high priority to security and privacy of customer’s account. Our personal CRM software solution prevents data leakage and maintains the security of sensitive information. CompanyHub’s personal CRM identifies and analyses meals, intro emails, etc. using natural language processing. No manual input is required. and others who are looking forward to cultivating and growing their network. Our personal CRM software solution combines contacts and interactions to identify the same individuals across different services. It also helps reduce clutter by facilitating users with intelligently organized email threads. conversations related to your contacts.